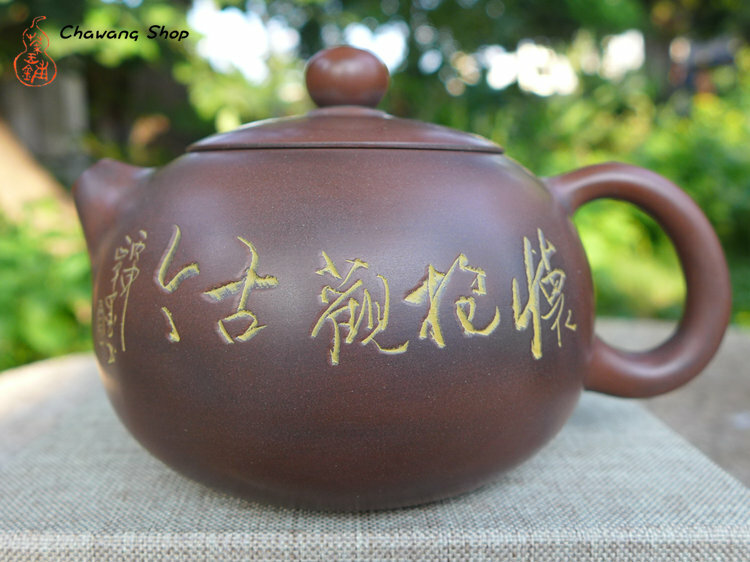 Teapot Inscription : One side- Chrysanthemum and bird; one side-calligraphy "怀抱观古今" , made by Qin Mo. 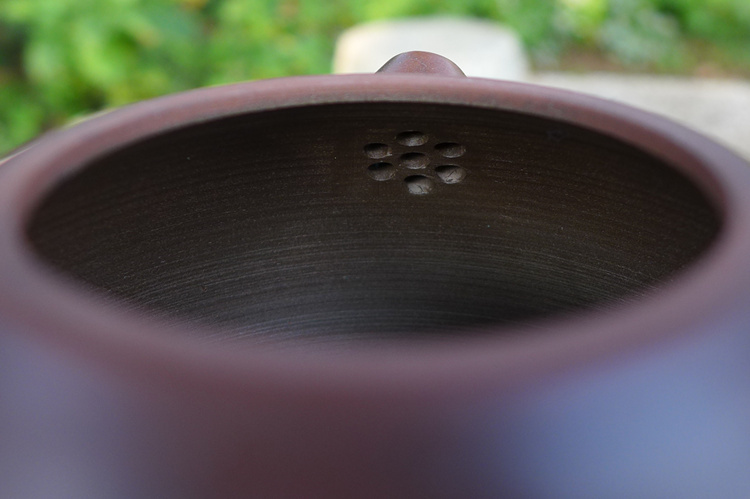 Info : High quality nixing clay, very good work, great size for gong fu tea, one or two drinkers ! All hand made pot. Water go out very fast, no leaks, work very well ! Nixing teapots are very good for all kind of heicha, puerh and roasted oolong.